When your team starts to drop the ball, these questions will help you effectively troubleshoot and find solutions. BY LEE COLAN, INC online. Just like a major league slugger, your sales team's batting average can hit a rough streak. When this happens, the key is to avoid reflexively solving symptoms and instead focus on the deeper problem. Here are four types of questions you should ask to figure out what's really standing in the way of a victory. Goals: Does your team have a clearly stated and common goal? Have the team members bought into it? Do your employees see a direct connection between their daily tasks and the team goal? Roles: Are the team's roles defined and documented? Are expectations consistent? Is the level of authority for each role clear? Do your employees embrace their roles? 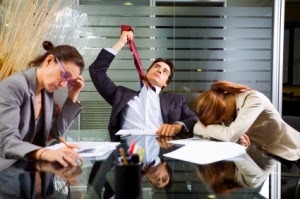 Does each team member have the necessary skills to effectively perform? Procedures: Are there clearly defined, documented and communicated processes on how the team makes decisions, shares information, coordinates hand-offs, reviews work, challenges prevailing thought, prioritizes work, and resolves conflict? Relationships: Is there a reasonable amount of (job-related) respect amongst team members? Do team members know and appreciate the different knowledge, skills and perspectives that each brings? Do they trust each other? You may find that a lack of clarity in one of the top three levels (goals, roles, procedures) opens the door for misperceptions that can lead to interpersonal conflict. For example, if team members do not agree on or understand your common goal, they might start accusing each other of having personal agendas. Or if team roles are not clearly defined, one person might think another dropped the ball. Your first reflex might be to directly address interpersonal issues, but this should come last. First, make sure you're defining clear goals, roles and procedures. This will eliminate 90+ percent of what appear to be interpersonal conflicts. So, the next time your team is getting bogged down, ask these questions, starting at the top with goals, to assess the root cause and pull your team out of its slump.